First refined version of shape 4. The outer shell has been sanded ready to be cast (as a test). And some test prints in PLA of the inner part that holds the power bank and circuit board. The first version of this is not deep enough and the screw holes are a little too close to the edge of the print. Some sketchbook work exploring how the objects could work using magnetic levitation. 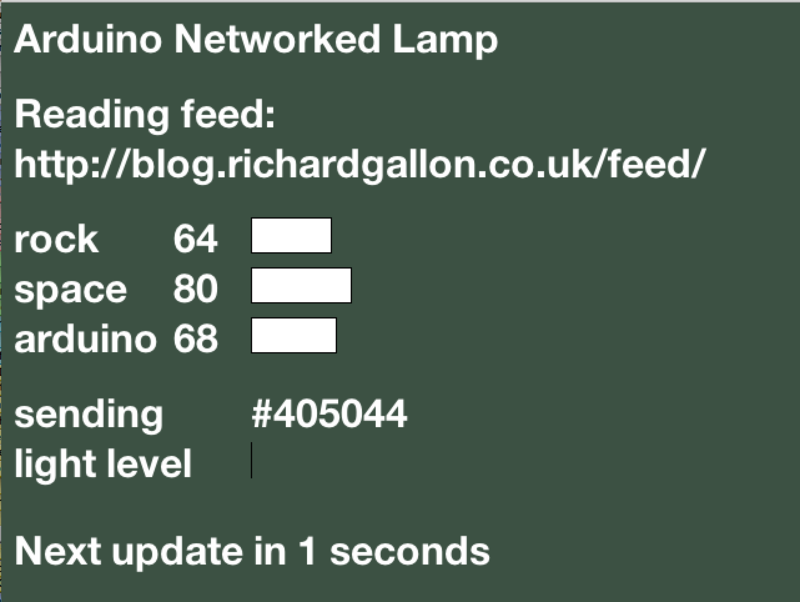 Working through this tutorial currently, trying to understand how Processing can be used to network an Arduino and power the colour of a lamp from words featured in an XML feed (in this case my blog feed – replacing the word ‘love’ with ‘space’ and the word ‘peace’ with ‘rock’). This generates the colour #3C4C2C. Note the slight colour change. Today I’ve been looking at how to build the various Arduino circuits for the Space Rocks, and at some examples of relevant projects. 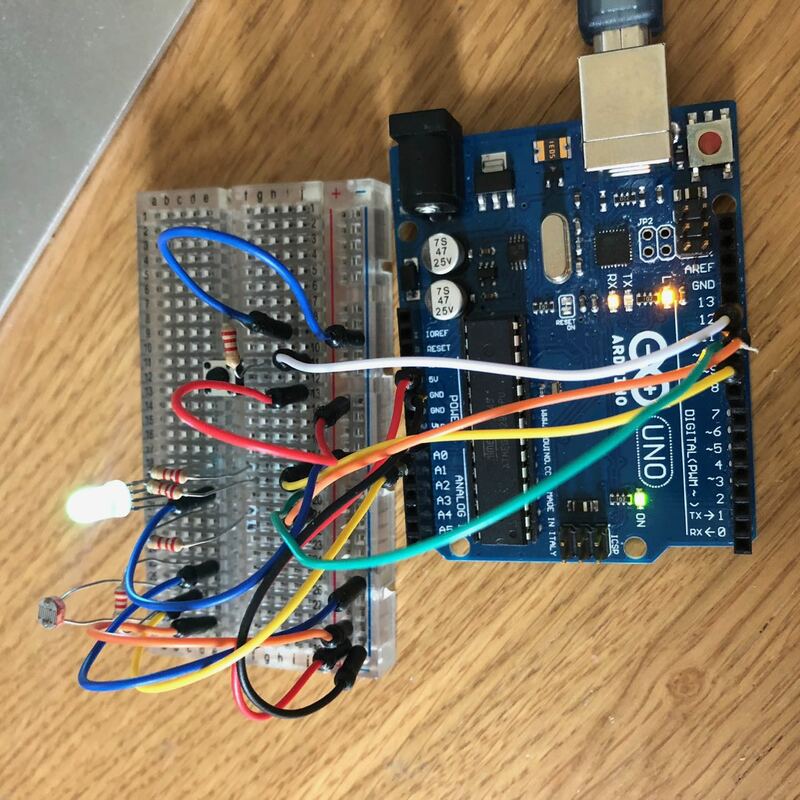 I made some basic sensor experiments with a Light-dependent resistor, ultimately using this code from the Make: Getting Started with Arduino book. 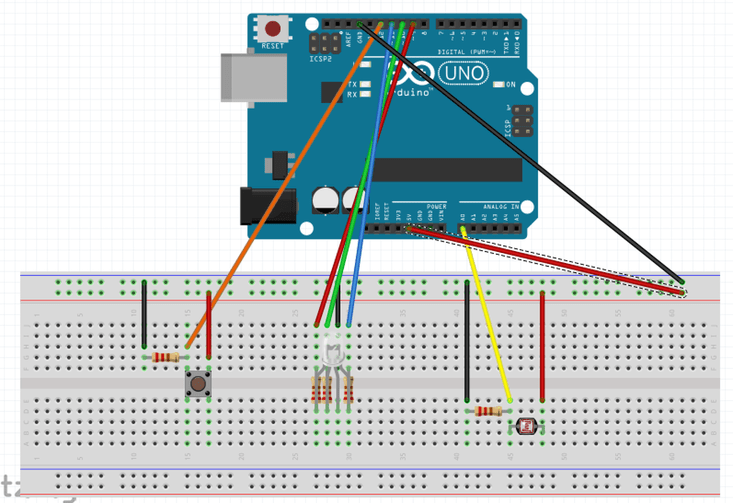 Currently your Arduino can only beep like a microwave oven. 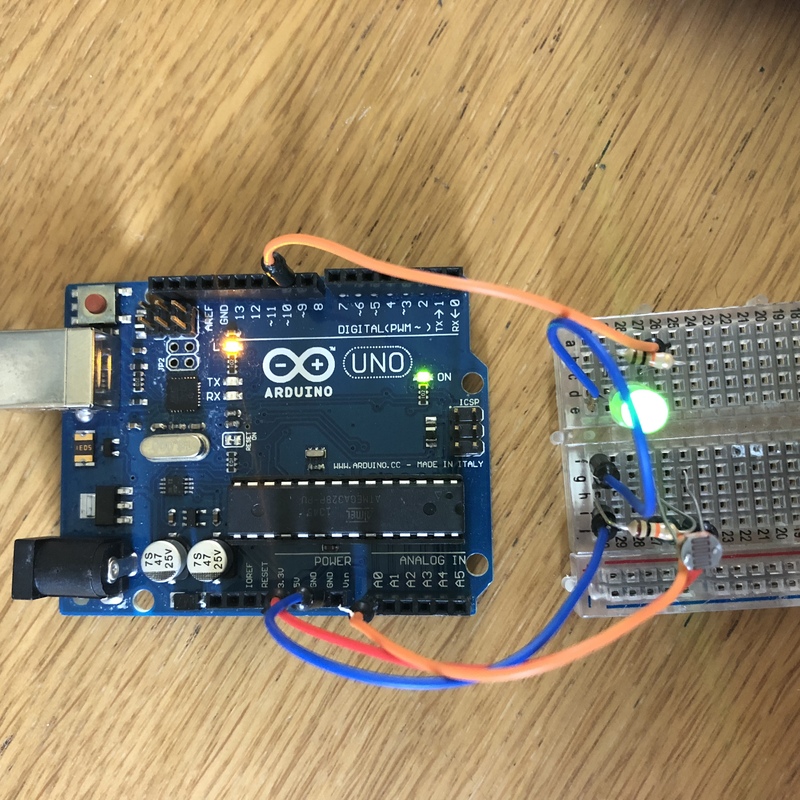 Mozzi brings your Arduino to life by allowing it to produce much more complex and interesting growls, sweeps and chorusing atmospherics. These sounds can be quickly and easily constructed from familiar synthesis units like oscillators, delays, filters and envelopes. 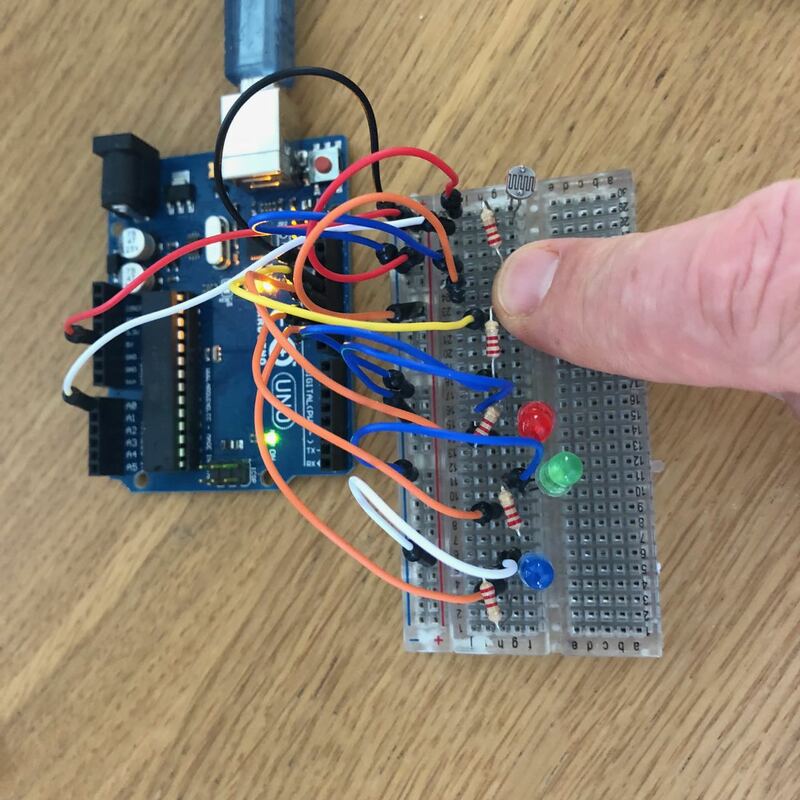 You can use Mozzi to generate algorithmic music for an installation or performance, or make interactive sonifications of sensors, on a small, modular and super cheap Arduino, without the need for additional shields, message passing or external synths. Note to self to also check out the Mozzi examples gallery. Investigating magnetic levitation to suspend the Space Rock objects for display. The idea is that the objects appear to float in space, enhancing the feeling that they are ‘alien’ / from another planet. The latest 3D printed prototypes for the Space Rock shapes. Plus a video of the shells glowing, courtesy of Arduino. Looking at some shapes that tessellate for the Space Rock 3D models.